The 20% Qualified Business Income (QBI) Deduction—also called the 199A Deduction—was part of the 2017 Tax Cuts and Jobs Act. It was enacted to help ease the tax burden on S corporations, partnerships, sole proprietorships, trusts or real estate owners generating pass-through income. The QBI deduction pertains to income associated with business activity in the United States, excluding capital gains. In many cases, rental real estate that is actively managed qualifies as income on which the 20% deduction can be taken. Income from other sources such as wages (even officer’s wages), interest, dividends, etc. do not qualify. The basics of QBI are simple to understand, but become more complicated after exceeding certain taxable income thresholds. Individuals qualifying for QBI are subject to deducting as much as 20% of their income generated by a pass-through business. This applies to tax years 2018-2026 as currently dictated by the 2017 Tax Cuts and Jobs Act. The QBI deduction resulting from income from a Specified Service Trade or Business (SSTB) is phased out. For non-SSTB businesses, the deduction is limited to the greater of either 50% of wages or 25% of wages plus 2.5% of the unadjusted basis immediately after acquisition (UBIA) of qualified assets. If certain conditions are met, the law also provides for the ability to aggregate two or more activities for purposes of applying wages and UBIA tests. If you earn $100,000 in qualified pass-through income from your real estate holdings, your QBI would be $20,000 ($100,000 x .2) when you calculate your tax liability. However, if you have a $30,000 deduction that brings your taxable income to $70,000, your QBI would actually be $14,000 ($70,000 x .2). For those above the thresholds, you must also apply the ceiling limitations. In the example above, assume taxable income was $500,000 with all of the additional income from a non-qualified source and that the wages from the real estate activity are zero and the UBIA is $750,000. The deduction would be limited to $18,750 (0 x .25 + $750,000 x .025). Essentially, $1,250 of the deduction was lost because there was not a sufficient amount of UBIA. To understand what UBIA is, you must first understand the property to which it relates – qualified property. Qualified property is tangible and depreciable, in service at the end of the fiscal year for the production of qualified business income. Property is also only qualified to the extent that the depreciable period of the property must not end before the close of the current tax year, with the exception that 5 year and 7 year property can be counted for 10 years. For rental real estate, the UBIA would include the original cost of the property for the duration of its depreciable life, and the original cost of any tangible property (such as appliances) for the greater of its depreciable life or 10 years). UBIA does not include land or basis adjustments such as 754 depreciation. UBIA is extremely important for real estate businesses as most asset classes do not generally have a large wage base. Because the 2018 tax year is the first year for the QBI deduction, there are plenty of question marks (as well as planning opportunities) heading into tax season. For real estate stakeholders in particular, considerations must be made as to rental activities to qualify, the optimal capitalization threshold (a lower threshold would cause more assets to be capitalized and thus increase UBIA), and activities to aggregate. Thankfully, where there are questions for the unique considerations regarding real estate pass-throughs, the IRS has been issuing guidance as recently as January 18, 2019. 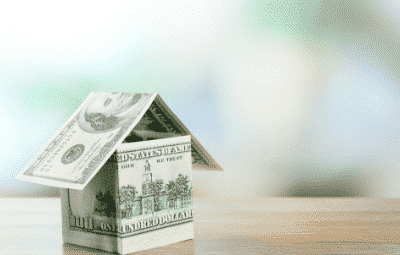 If you own rental properties or real estate that generates pass-through income, maximizing your QBI deduction is imperative beginning this year. To make sense of your tax position and ensure that you’re able to maximize your QBI deduction, contact James Moore’s Real Estate Team. We’ll assist you in determining pass-through income from real estate, UBIA and the correct method for calculating your maximum deduction.